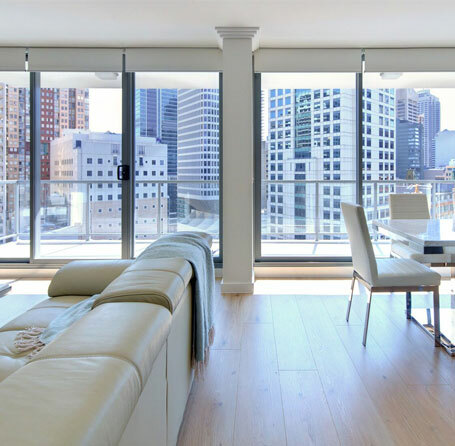 Our SoHo style apartments offer a luxury escape, and give you the sense that you could be living in the heart of New York. Your own space to entertain, work, and relax. 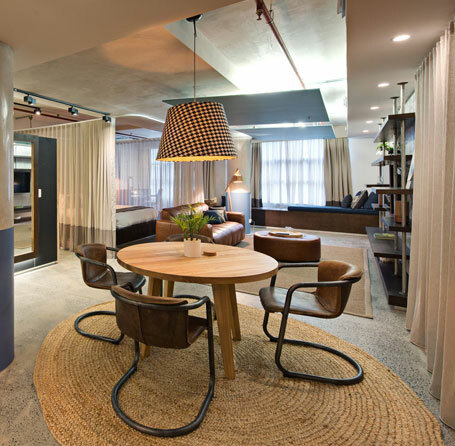 Designed by award winner Interior Designers, Luchetti Krelle, these studios take cues from industrial warehouse design, as well as an edge of bohemian flair while providing you with luxurious surroundings and premium amenities. 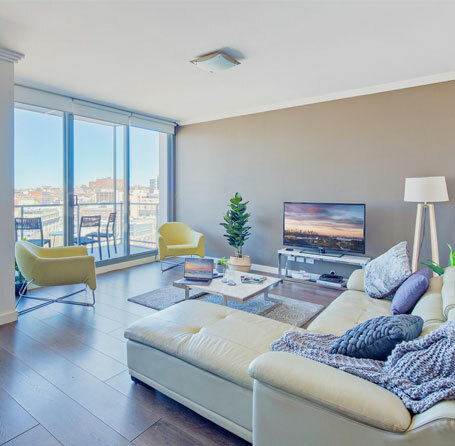 SoHo suites have high ceilings, a lofty warehouse sense of space, polished concrete floors, soft lighting, luxury textures including leather couches, Egyptian cotton, quality hardwood finishes and stainless steel appliances. 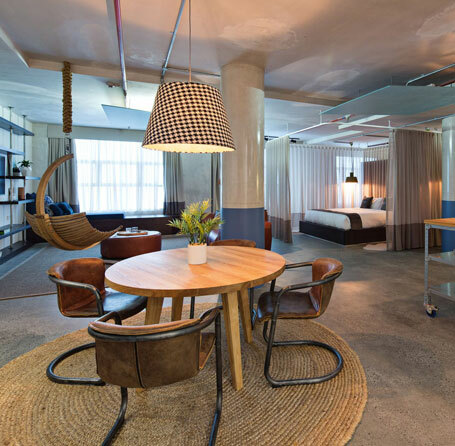 If you’re visiting on business, our SoHo Suites are easily converted to a shared workspace, while our spacious layouts are excellent for entertaining family and friends. Includes extra blankets, 50 inch TV with Netflix and free WiFi. Your own inner city escape, our Luxury Soho Suites will make you feel at home from the moment you arrive. 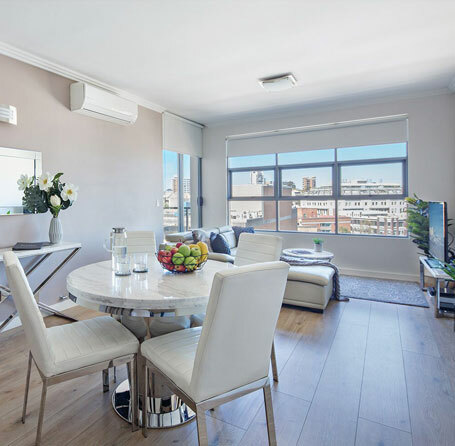 Live large with our Luxury Plus Soho Suite, featuring a spacious design perfect for a couple or the whole family in Sydney's CBD. 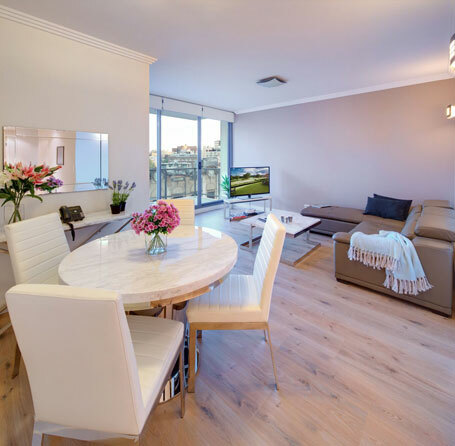 A luxury, spacious and bright two bedroom, two bathroom apartment featuring a balcony with a view - perfect for a family, group of friends or work trip.